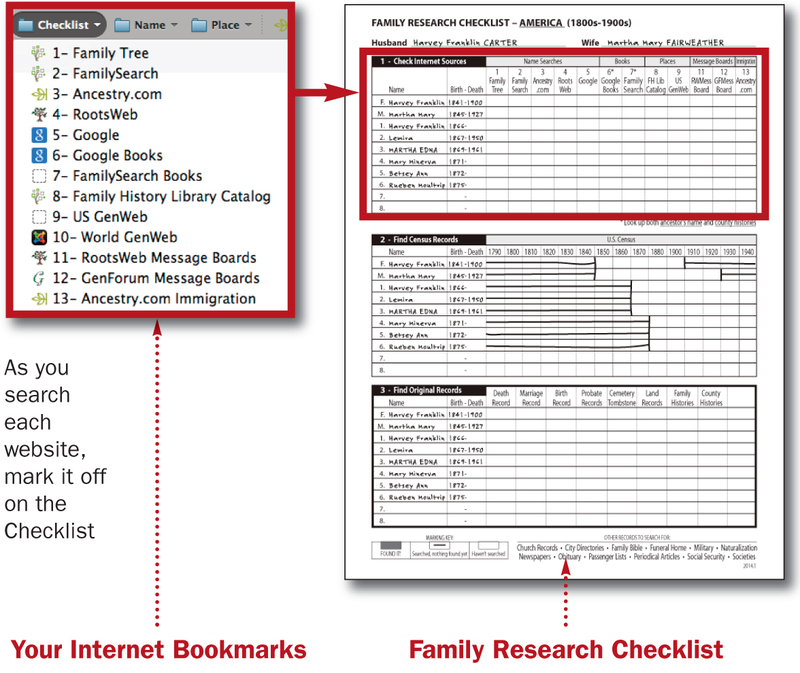 With your Checklist in hand, you’re ready to get on the Internet and start researching your family. We designed the Checklist to match up with your Internet Bookmarks to make it easy to track the main Internet sites you’ll be visiting. So, now that you see how this works, you’re ready to jump on the Internet and start marking off the sites you visit.